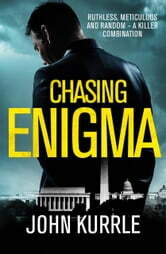 The assassination of a congresswoman on the streets of Washington, DC brings FBI agent Ray Nicholson to the scene. Quickly, more inexplicable assassinations pop up all across the country. Baffled by the killer’s victims, bedeviled by his motives, foiled at every turn by his cunning and meticulous planning, Ray doggedly tracks the mysterious assassin. Making matters worse, Ray finds himself a pawn in an interagency game of chess. All the while, his boss’s words ring in his ears, "Remember, a pawn that becomes inconvenient gets sacrificed." As political pressure builds and bodies continue to aggressively stack up, Ray scrambles to solve the mystery and catch the enigmatic killer before he strikes again. Will You Die with Me? When Did I Start Looking Like a Cop?